Introducing our New Donation & Fundraising Platform! Raising funds and donating to participants in fundraising events is now as easy as 1-2-3. 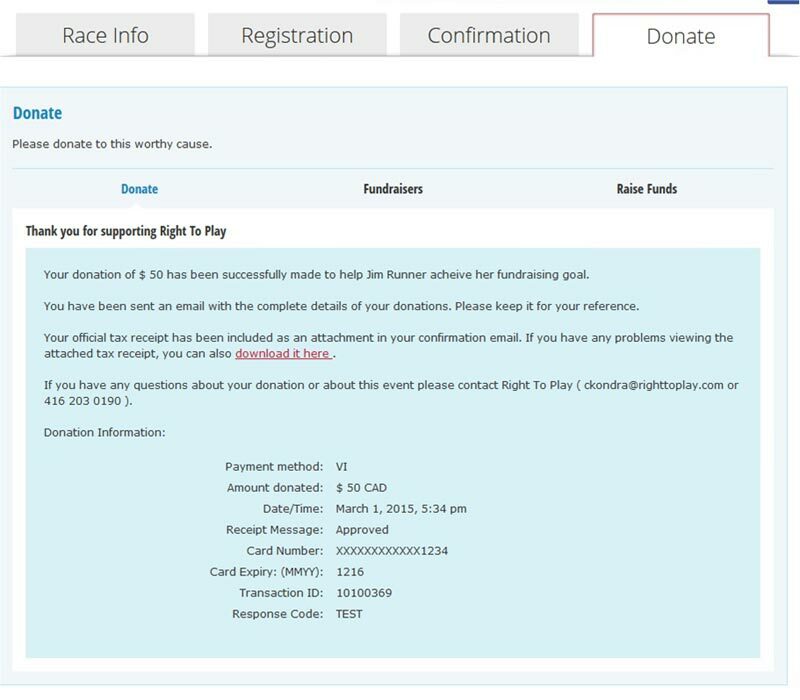 Races listed on the Running Room Races site with an associated charity(s) now have a "Donate" tab built right into the Race page for quick and easy access for making a donation, pledging an athlete, and starting a fundraising page. Continue reading below for all of our new and exciting features! 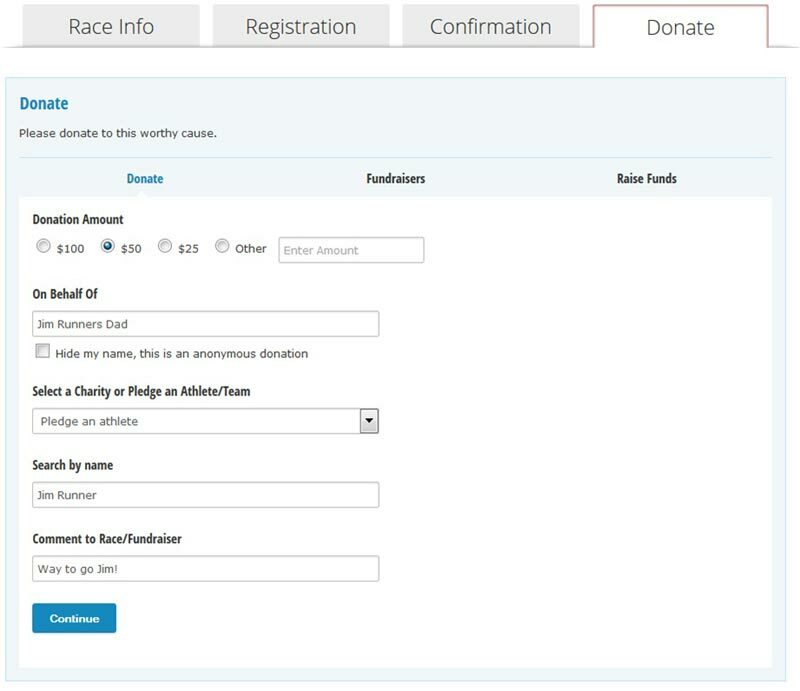 Races that are associated with registered charities have Donations tabs on the Race page. Registered applicants can easily create a fundraising profile. Select Raise Funds and enter your Donation end Date, Fundraising Goal, Thermometer Display, show donors on your Home page, and a personal greeting. Once you set up a new Fundraising account or Login with your existing profile you are ready to solicit your friends and family members to support you! Friends and Family can easily search for an Athlete to donate to or make a Donation to the Charity on the Donate tab. Donors have the option of selecting to be public or anonymous. Once payment information is confirmed on our secure site Donatation reciepts are email and avaliable immediately to download. Friends and family can easily find participants raising funds on the Fundraisers page. 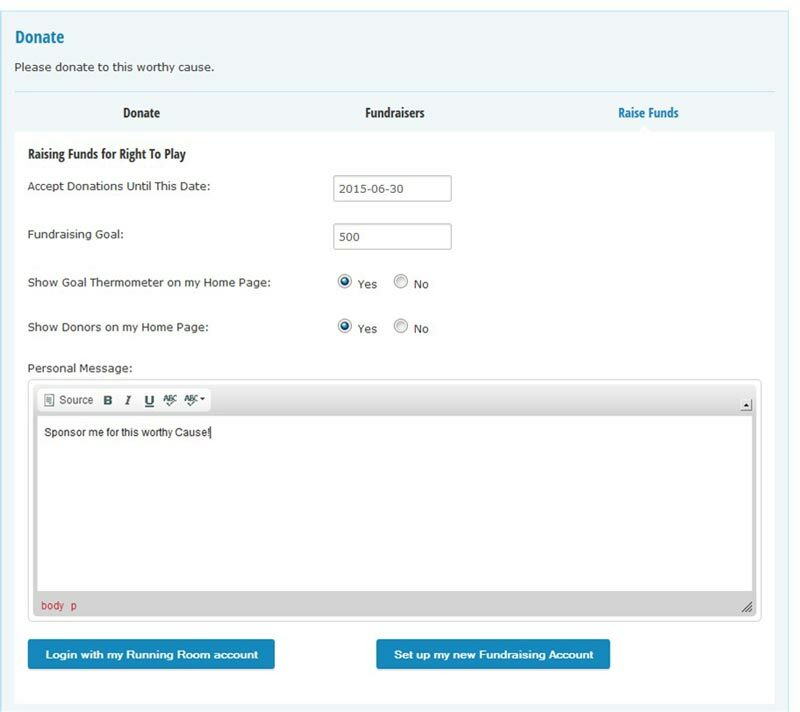 Your fundraising goals are easily accessable and people can make a donation right from your donation page. 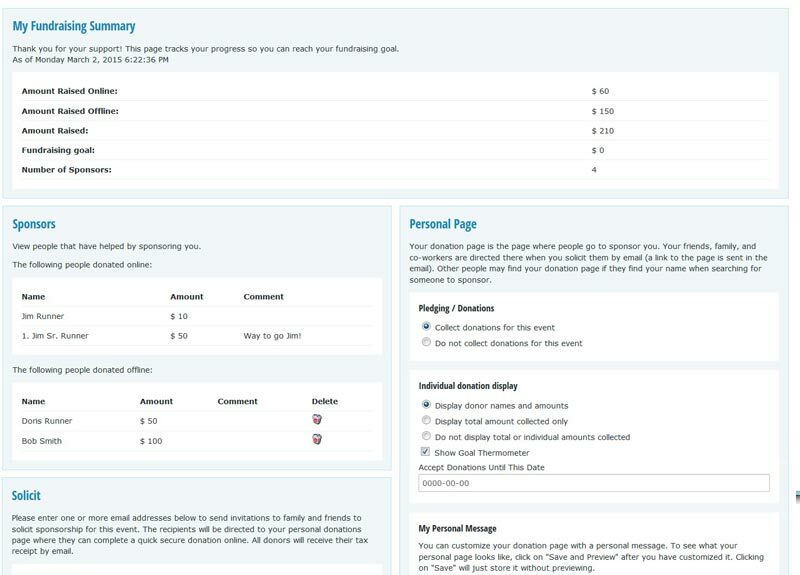 New fundraisers dashboard! – you have Full control! Applicants raising funds have complete control on their fundraising dasboard! View friends and famly that have donated to you. Control how your donations are displayed. Select to activate / inactivate donations for your event registration. How donors are displayed on your page. Solicit friends and family members to donations. Enter ofline donations for your cause! Now your whole team can raise funds! 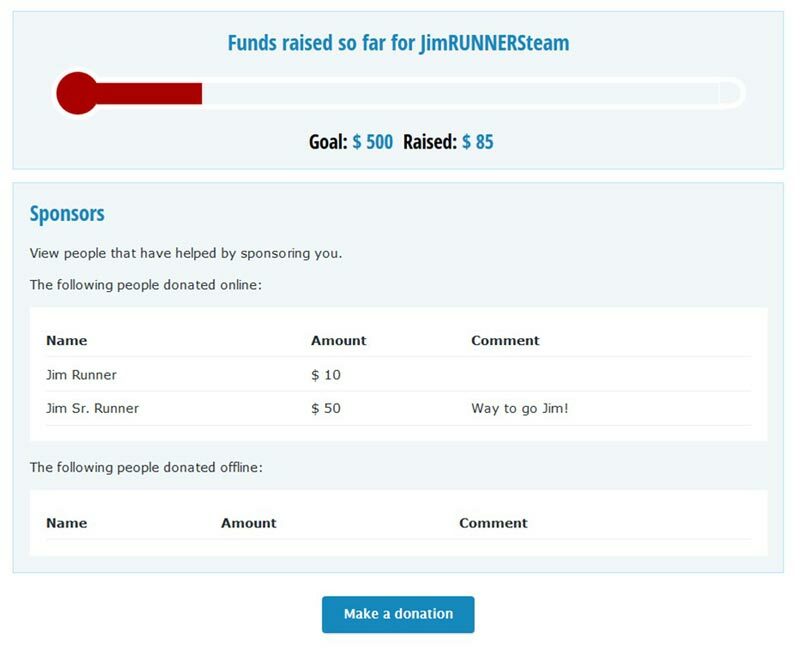 Teams Raising funds can be found on the Fundraisers page. Donors can make a donation on any of the team members! 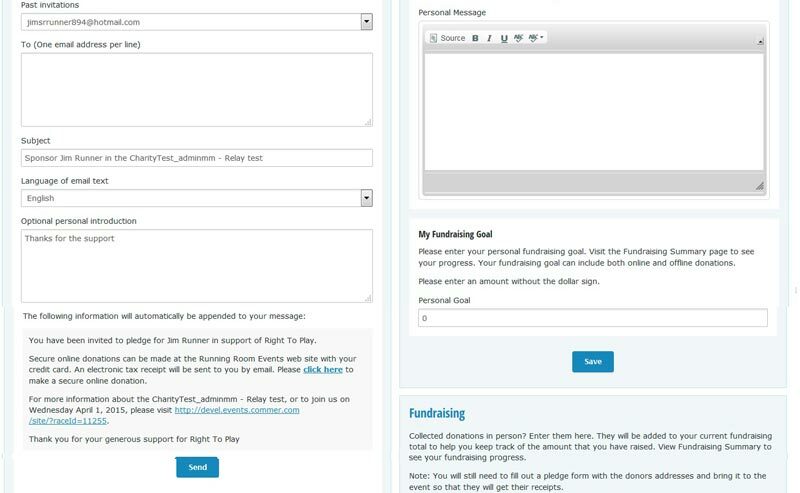 The New fundraising solicit email tool displays detailed information! Displays total fundraising by charity as well for events that have more than one charity where team members can select their charity. 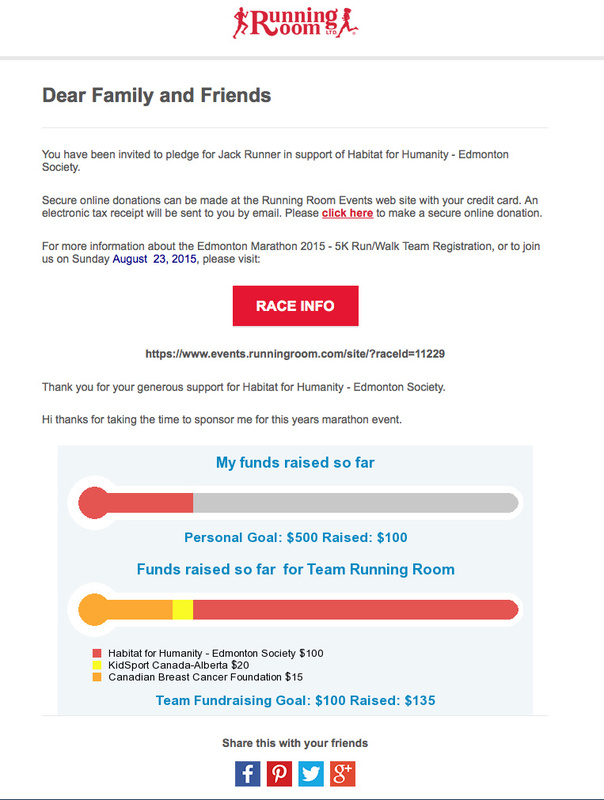 Running Room donations now easier than ever.